One of the more popular diets running around the public consciousness as of late is the alkaline diet or alkaline ash diet. You see a lot of websites and programs dedicated to the alkaline diet. At its basic level, the alkaline diet is supposed to balance out the pH levels in the body’s blood and urine. But what are the alkaline diet benefits? What are alkaline foods? If you are curious about the alkaline diet plan, we’ve got the basics for you. We cover the health benefits, alkaline ash diet foods, and everything you need to know if you’re considering this popular diet. How Does the Alkaline Diet Benefit Your Health? The first thing to know when researching an alkaline diet is that it may work, just not for the reasons that many sites and books tell you it will. The entire focus of the diet is to eat foods that balance the pH levels in your blood and urine. The fact is that our body has a number of built-in systems to regulate the pH in blood because if it were to change due to outside forces such as food, you would probably die. One such system of our body that helps regulate pH is releasing or exhaling carbon dioxide. That being said, the diet may be able to entirely change the pH levels in your urine, but testing urine is not a very good way to test your body’s overall pH levels. All things considered, the benefits of an alkaline diet are not in balancing pH but in the diet itself. The alkaline diet promotes healthy eating. The diet promotes eating a lot of healthy foods like fruits and vegetables. It’s also a diet that’s low in meat, gluten, and dairy. All of this has many positive health benefits. The alkaline diet is a decent diet for weight loss. Consuming large amounts of fruits and vegetables will add a great deal of fiber to your diet, which is helpful for weight loss because it helps the body feel full for a longer time period. Fruits and veggies are also beneficial because they are naturally low in calories and saturated fat. Combine this with regular exercise, and you’ve got a pretty winning combination. Diets filled with fruits and vegetables also tend to be good for overall health as the fiber that can be found within has been shown to benefit heart health. The antioxidants in fruits and vegetables also are believed to fight free radicals, which could make them effective as prevention methods for various cancers and cardiovascular diseases. While the alkaline diet may not work the way it is advertised, it definitely does have a number of health benefits that you may want to consider. At the very least, it is a fairly well-balanced diet for weight loss if you combine it with exercise. 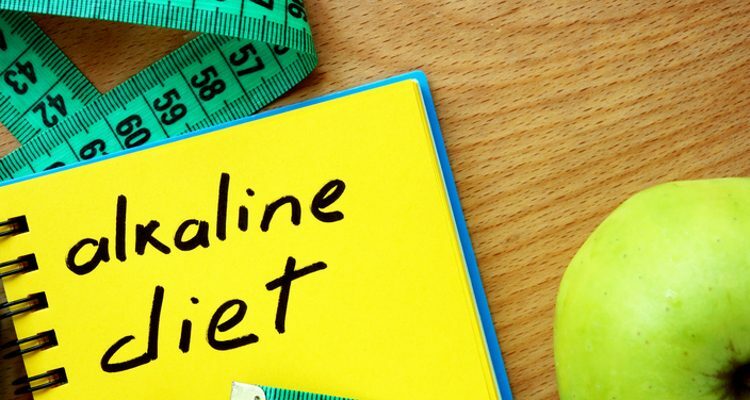 If the alkaline diet sounds like it may be for you and your health goals, the next step is to figure out the different types of food you can and cannot eat while on an alkaline diet and which foods you can eat in moderation. We’ve already done a little work to help you out. As with many diets, one of the hardest things to figure out is what you can and can’t eat. Here we explore the alkaline diet foods to eat, and you may be surprised by what is allowed on the diet. Keep in mind this is a general overview; there are a number of variations of the alkaline diet, so you may want to also consult with a doctor and or a nutritionist. Most vegetables are allowed. Both leafy greens and root vegetables are available to you, and you can eat as much of them as you want. Beets, cauliflower, kale, onions, are all examples of the allowed vegetables. Fruits are perfectly good for the diet as well, including apples, berries, bananas, various melons, and oranges. 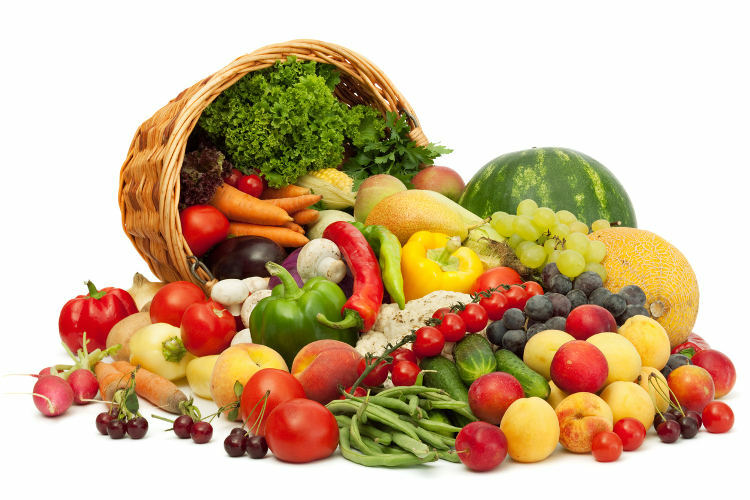 Most versions of the alkaline diet suggest that the fruits and vegetables be eaten as close to whole as you can get. Eat them raw or steamed with as many of the vitamins and nutrients intact. The alkaline diet also gives a leg up to many vegetarians as tofu is allowed. Other proteins that fall in with the alkaline diet are almonds and chestnuts. When looking at the above list, it’s pretty healthy with a wide range. You have enough foods to allow you to make many different types of meals as opposed to getting stuck with one thing only. But it should be noted there are also a number of foods that do not go with this diet. While there is a wide range of foods to eat while on an alkaline diet, there are also a number of foods you should avoid. Most animal products like meat, eggs, cheese and dairy are suggested to be eaten in very small amounts or avoided altogether. The same goes for whole grains and their products like bread. Gluten is also not suggested, so pasta is ruled out. In terms of beverages, anything with caffeine isn’t allowed nor is alcohol. Processed foods and cereals (natural cereals as long as they follow the above guidelines are okay) are also to be avoided. The below chart is much abbreviated view of the alkaline foods you should eat and avoid. Note: We have not covered all the foods in this table. The list of alkaline foods is much larger than this. Alkaline diet refers to eating foods with an alkaline pH, which is between 7 and 14. pH below 7 is acidic and pH at 7 is neutral. Ideally our body should have a pH between 6 and 7.5. pH is basically the hydrogen ion concentration in any ingredient. Excess of acidic as well as alkaline pH is bad and can affect your health is various ways. If your pH levels are too acidic, you may experience health conditions such as weight gain, kidney issues, diabetes, or osteoporosis. On the other hand, if your pH levels are excessively alkaline you may feel sluggish and worn out. Although this lacks enough evidence, this has mainly been based upon observation and experience, along with some studies by various nutritionists and naturopaths. Also, the pH levels throughout the body are not the same. They are different in stomach, blood, and urine. You can check your pH levels on the basis of these symptoms and pH tests. So, ideally your diet should depend on the overall acidity or alkalinity of your body. Alkaline diet prohibits eating whole grains, lentils, dairy products and so on. While they should be eaten in moderation, they have great health benefits that you miss out on in this diet. Also, a lot depends on how the foods you eat are metabolized and broken down in the body; this process changes their basic pH altogether—the best example is lemon. Also, our body needs a certain amount of acids that aid in digestion. Our stomach has an acidic pH with the presence of hydrochloric acid and pepsin among other acids. If the levels of these acids are low, it may lead to digestion issues. Acids are also required to help ward off infections—our body is acidic when our immune system fights an infection. Excess acidity is obviously bad and can be controlled through exercise, refraining from alcohol, and drinking the required amount of water, along with a balanced diet. So, while the alkaline diet is by and large nutrition-based, one cannot simply have only alkaline foods. At the end of the day, is the alkaline diet good or bad? It’s mostly good, just not in the way it’s promised. The health benefits of an alkaline diet do not come from it balancing the pH in your blood stream or urine. Unlike many “fad” diets, the alkaline diet is good for you; the benefits of an alkaline diet lie within its promotion of eating healthier and cleaner. Just maintain a regular exercise program, and you will have yourself a pretty good routine for weight loss and your health. Also, remember that it is essential to check your basic body tendency of acidity or alkalinity and consult your doctor if required, before you start this diet. 1,500-Calorie Diet For Men: What Should Your Diet Plan Be?